I really like the new Pattern Options introduced with Illustrator CS6, but I have one problem with it. 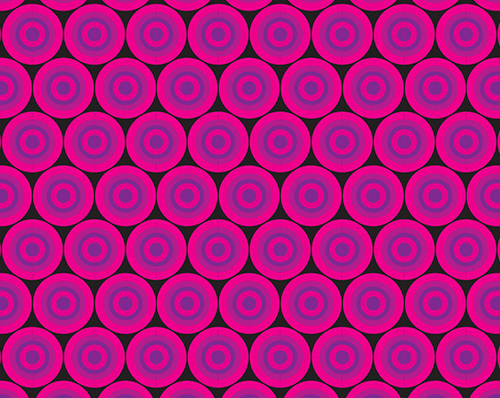 I don't see a way to create a pattern that includes a background color. There may be a better workaround out there (let me know) but for now, here is one solution. First, design your pattern element. I'll keep it simple for this demo, a target. Select your pattern element (or elements if yours is less simple than mine), go to the Object menu and choose Pattern>Make. Choose the Tile Type that best fits the type of pattern you want to create. I chose the Brick by Row Tile Type with a 1/2 Offset. Check the Size Tile to Art option to adjust the Horizontal and Vertical spacing. For my pattern tile, I set the number of Copies to 3 x 3. Click Done and your pattern tile is saved to your Swatches panel. 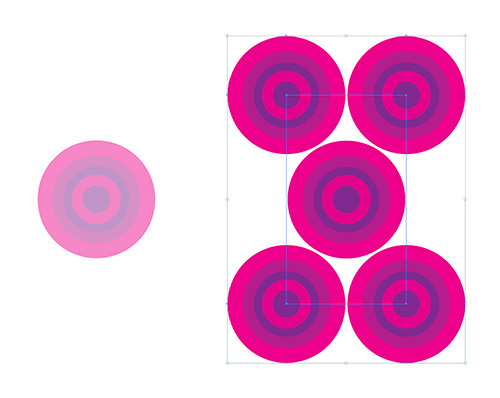 Now, to add a background color, we're going to use the old-fashioned way of defining a pattern tile in Illustrator. Go to your swatches panel, find the new pattern swatch that was created, click and drag it onto the artboard. This will place a group of paths onto your artboard, the paths that make up the pattern swatch. With this group still selected, you will see two rectangles. 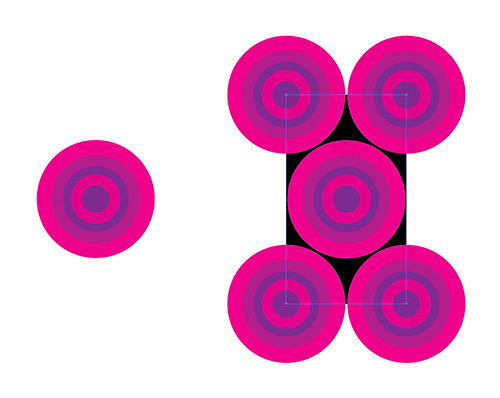 The outer one is the bounding box and the inner one is the cropping box. Double-click on this group of paths to enter Isolation Mode, then select the inner rectangle, choose Copy from the Edit menu (shortcut is Command-C), and then choose Paste in Front from the Edit menu (shortcut is Command-F). Give this pasted rectangle a fill color, for mine I chose black. Once you have the color you want, exit Isolation Mode and then drag the group of paths back into the Swatches panel. This will create a new pattern swatch that includes the background color you created. To verify your pattern with your background color included, use the Rectangle tool to create a large shape on your artboard. Then choose the newest pattern swatch for its fill. You should see this large shape filled with your pattern that includes the background color you added.